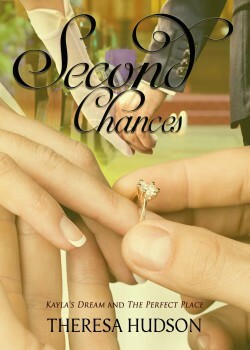 Second Chances by Theresa Hudson, the third book in the Kayla’s Dream Trilogy, is an incredible story of romance unlike any other I have ever read. It’s hard hitting and ruthless as the storyline exposes the effects of breast cancer and its treatment in all of its brutality, not only for women who suffer with this diagnosis, but also their friends and family. Hudson’s novel is also very inspiring, with incredibly strong veins of forgiveness and love throughout the novel. That the author is a retired physiotherapist who worked with adults who have cerebral palsy is apparent in her detailed descriptive writing, especially if you, like me, have a wheelchair-bound partner. Having a lead character who not only suffers from a disability, but is also battling cancer makes for a powerful storyline. I applaud the author’s ability to ensure that Kayla’s personality and dreams shine above her disability. Peppered throughout the book are empowering examples of taking second chances and triumphing over adversity. The question is, what will the future hold for Kayla, and will love conquer all?